Are you now engaged? If so, congratulations, we are incredibly excited for you! You will now begin your wedding planning journey…this is certainly a joyous time! However, with so much to do, and only so little time, you may be curious as to which tasks you should complete first after getting engaged. Once you are engaged, you will want to spread the news. And, photography is certainly the best way to do so! 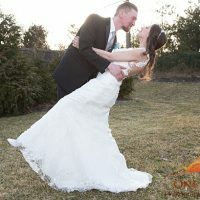 Therefore, you will want to hire your photographer. This way, you can have engagement photos captured, allowing you to get to know your wedding photographer, and know what to expect when it comes to the photography for your big day. Your guest list will be a determining factor for many details throughout your big day. From the size of venue you will need, to how much food will be served, the number of guests you have attending your wedding will need to be known. 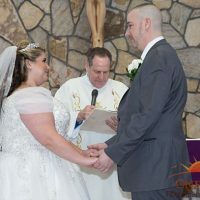 So, developing your guest list should be one of the first tasks that you complete to begin your wedding planning process. Without a wedding venue, where would you host your big day? So, booking yours in advance is certainly of importance! This way, you can continue on with planning the other elements of your wedding, such as creating a theme and color scheme to complement your space. Starting your wedding planning off right is certainly of importance! These are just a few tasks that you will want to complete after getting engaged. If you are ready to have your own engagement captured by an engagement photographer in Long Island, New York, please get in touch with us here at One Fine Day Photographers & Videographers! We are always thrilled with the opportunity to capture such wonderful milestones in life, and would be pleased to capture yours as well.